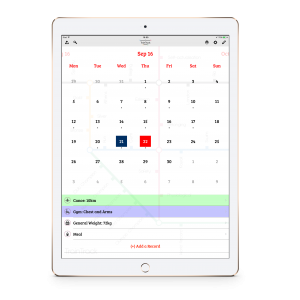 TrainTrack is the customisable, digital training diary for iOS. Start 2017 by giving yourself the best chances to succeed! Many athletes’ success stories are based on organisation: a training dairy is absolutely integral to monitoring progress and finding out what training is taking you closer to your goals. 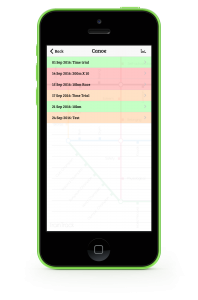 The concept of TrainTrack is quite simple: a digital training diary for athletes. It’s somewhere to store the sessions you’ve done and the progress you’ve made. It’s designed for both iPhone and iPad. 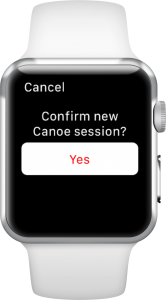 TrainTrack is able to store: sessions (e.g. went to the gym), events (e.g. came 4th in the local 10km), individual efforts (e.g. new PB on 1RM bench press), daily attributes (e.g. weighed 70kg today), meals (e.g. had a big breakfast today) and notes (e.g. had a cold). You can pick and choose what information to store, so you don’t spend hours recording data that you’ll never use or care about. Training diaries are often criticised for being ‘bloated’ and for collecting data that is never analysed, wasting precious time that could be spent on something more productive. TrainTrack is fully customisable: store just the information that you care about, no more and no less. The ability to customise all aspects of the app means that your training always comes first. 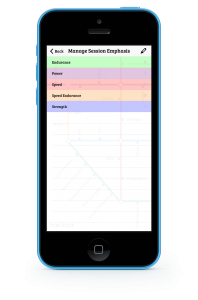 By analysing the type, frequency and emphasis of your training, Signaller is able to produce an intelligent summary of your training style. You can then track changes to this assessment over time, giving you a quick way of reviewing your overall progress. Signaller also gives you quick and easy access to key statistics about your training, including your top session emphasis, your total number of sessions, your most popular activity and many more. Ever wanted to see which sessions in the last year you’ve rated 5/5 stars? Need to see your Bench Press 3RM progress over the winter? Want to find all of your run sessions during last month? 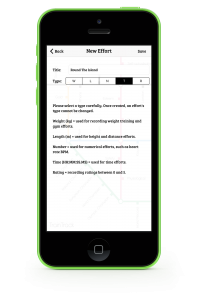 TrainTrack has a comprehensive search tool, providing easy access to your data. Records can be grouped together in many different ways, including by date, type, activity and focus. The graph tool then lets you see that data visually, so that you can easily measure your progress. TrainTrack comes with a regularly-updated bank of suggested sessions, giving you a database of different workouts to try. Session Bank ensures your training stays interesting! It covers the most popular activities including Gym, Run, Cycle, Swim, Canoe and XC Ski. Add these sessions in to your routine to improve your results! You can suggest your favourite sessions for inclusion in Session Bank here. 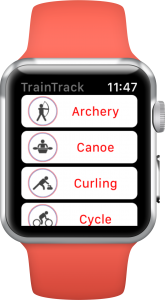 With TrainTrack, your training sessions, attributes, efforts, event results and settings are all automatically shared between your iPhone, iPad, iPod touch and Apple Watch, leaving you to focus on your training. All of your data is also automatically backed-up to to the cloud – even if you lose your device, your records are safe. They can be restored by downloading TrainTrack to another Apple device and logging-in to your iCloud account. 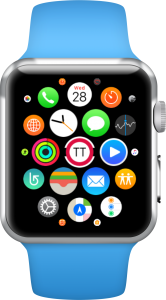 TrainTrack also runs on Apple Watch! 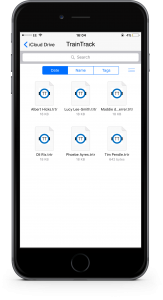 Quickly and easily record your sessions straight after you complete them, so that your records are always up-to-date. Most coaches can’t be with their athletes 24/7, but they still need to know exactly what training they’ve been doing. 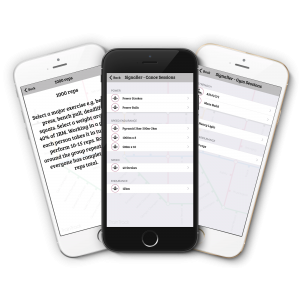 TrainTrack is accompanied by TrainCoach – a separate app for coaches, parents, teachers and support staff. 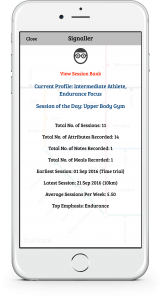 An athlete can share their training data directly with a user of TrainCoach, who will get access to a snapshot of their training diary. They’ll be able to see notes on how each session went, the session’s star rating and its timed efforts, giving them the feedback they need. There are loads of ways to share TrainTrack data. If the athlete sees the coach regularly, just AirDrop it. If the coach is more remote, it can be sent via email, iMessage, Facebook Messenger or Dropbox. 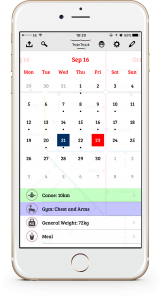 TrainTrack is a digital sports training diary. It is available on a 6-monthly subscription, priced at £2.49. There is a 1-month free trial. We have a regular programme of updates planned, bringing new features and content to TrainTrack. You can subscribe for as long as you like – you’ll retain access to all of your data if you decide to unsubscribe (but you won’t be able to add, edit or delete it). 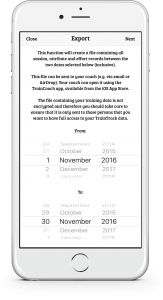 TrainCoach is for coaches, parents and support staff to view diary files exported from TrainTrack. It is available for a one-off payment of £2.99.